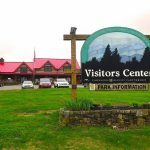 When Choosing a Smoky Mountains hotel for your travels and comfort it’s important to find a hotel that is close to your destination. 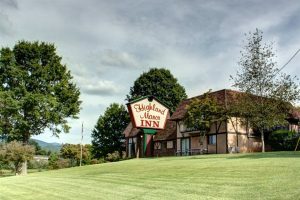 The Highland Manor Inn family hotel is located in Townsend, Tennessee and is within walking distance of the Great Smoky Mountains National Park. 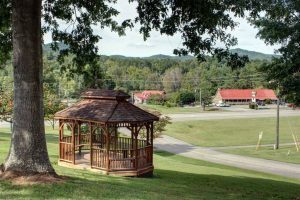 The Hotel has a great view and the Smoky Mountains can be enjoyed from our hotel rooms, grounds and gazebo. A family hotel that has been home to travelers from all over the world for more than 36 years. This Smoky Mountains hotel has everything you need and the feel of home. 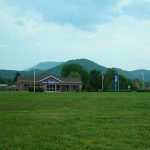 Located in Townsend, TN, the hotel has been redecorated and updated with new bedding, floors and more. They provide all the comforts of home with cable, wifi, Tv, phones and more. At this hotel it’s the little things they do that keep their guests coming back year after year. At Our Smoky Mountains hotel we have been host to photography groups, weddings, reunions, retreats, banquets and more. Our Hotel offers a great conference center that can be used for any large or small gathering. 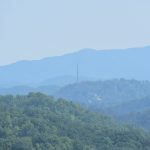 Another great perk of the hotel being so close to the Smoky Mountains is that once the event or meeting has concluded, you are right down the street from a great drive, hike or bike ride.